We are Newcomer of the Year! Home / News / Awards / We are Newcomer of the Year! We are delighted to announce that we have won Newcomer of the Year at this year’s North East Business Awards. 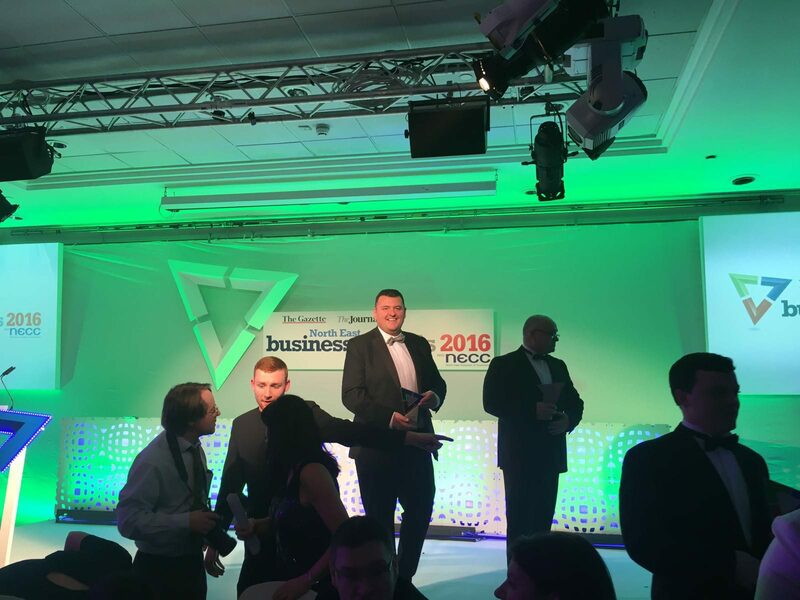 The ceremony took place last night at Newcastle Marriot hotel to recognise business excellence throughout the North East, with people attending from a whole host of highly acclaimed companies in the region. We are overwhelmed to have been honoured with the award and to have received recognition for our on-going commitment to provide sustainable, energy saving measures that will help to save our environment. The standard of entries at this year’s awards has been exceptionally high, which for us makes the award an even greater achievement. This last year has been particularly challenging for the renewables industry due to government funding cuts, however it has been great to see that people in the region have invested in the benefits that energy saving measures can have in both businesses and homes. We have an excellent team behind us – of whom we would like to take this opportunity to thank – who have all played an influential role in helping us to get to where we are today and our plan is to continue to grow year on year.